Giveaway Closed! Congratulations to Toni Whitmire. 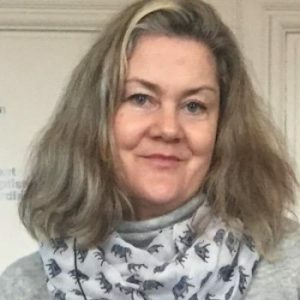 We bandied about some ideas, her acting as scribe and generally groaning, nixing and throwing a pen at me over my cheesy ideas because I love to make her laugh. But later that night, I got a little more serious and started thinking about my middle school music teacher. I had loved to sing—-walking, in the car, in my room, at the mall. I was okay. Never more than that. But she always said “You enjoy it, keep singing.” So I kept joining choirs all the way through college. She also directed a hand bell choir at my middle school and high school, and of course I joined happily. Unhappily I was the worst, always playing the F# in my left hand even though I KNEW the note was a G and the G was in my right hand. My brain said G. Right hand. I heard it, but my left hand charged out. Many of the other kids grumbled the first year, wanting to toss me out because when you play a wrong note in a hand bell choir, everyone knows it. That sucker rings out. Carol shrugged off the mistakes and explained it as a neurological issue of mixed left right dominance or something like that. “Keep playing” she said. So I didn’t quit. And the grumbling turned to sideways glares. And then those faded because I got better. And better. So for A Country Love Song, I wanted it to be a bit of a tribute to how music teachers endure those awkward beginning years with their students and instruct and cajole and inspire and push through the challenges and build a foundation where the artist can find their own voice. So I created in my mind, a young girl, Sutter Knight—naïve, earnest, talented, enthusiastic and driven who could really blossom in a small southern town with a music teacher who believed in her, and also started thinking of her a little bit as the daughter she never had. And then of course I thought of the boy who loved her and performed with her in the school choir and musicals but reluctantly and oh so painfully let her fly far from him. Sutter Knight headed to Nashville to pursue her dream of being a country singer and songwriter, but Dawson Yates stayed grounded in Sweet Tea, Tennessee because he had family obligations and dreams of his own that don’t involve a stage—unless he’s building it. Because I love reunion romances, the story starts ten years after Sutter has left. Her career is finally on the rise. She’s charted, toured and been nominated for an award. She returns to her home town to visit her music teacher before heading back into a Nashville studio, and that’s where she finds an unexpected challenge desperate for her talents and enthusiasm as well as the boy, now a man, she thought she’d left behind. But when Sutter sees Dawson again, she quickly realizes that her feelings aren’t as far in the past as she told herself. Writing about a country musician who thinks in melodies and lyrics was a lot of fun and definitely a different experience. I listened to a lot of music, not all of it country. 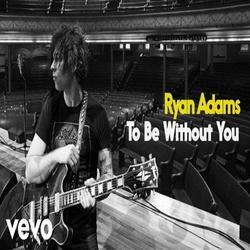 The song I listened to on repeat when I took long walks to think about how the story would unspool was Ryan Adam’s To Be Without You. That song is for me the best description of a post break up—where you are no longer sick with grief or anger and sobbing a lot, but have entered the acceptance stage. But you are numb. It’s all sinking in that it’s over, really over, and you aren’t sure how you are going to keep walking forward, but you know you have to. Because so much of Sutter and Dawson’s reunion keeps tumbling into the past, that song really put me in the mood to write a story where two people’s lives split even though their hearts never fully made the separation. And they trudged on with grim determination and found success but never that effervescent happiness they had as teens. The story is them at an emotional cross roads. Can they go back and retrieve what they lost? Do they keep moving on alone? Or Find a new direction together? I listened to many, many more songs. Some of the songs or artists I mention in the book because Sutter does performs, but mostly because she is constantly taking her guitar with her and noddling melodies, singing in snatches and scrawling lyrics in a notebook. 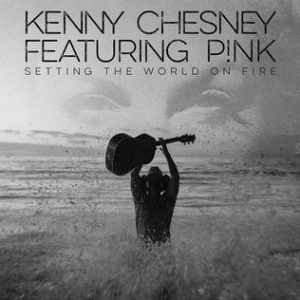 One song that makes an appearance is Setting the World on Fire by Kenny Chesney because I absolutely love the goofy energy of that song and the images and the sense of two people just drunk on love and acting silly and yet having a little ability to reflect and recapture those emotions. Keith Urban’s Boy Gets a Truck totally fit with Dawson’s personality and life as a teen in love with Sutter and also even later as a man glimpsing his 30s and wondering if he dare to try with Sutter again. When I was trying to think of a song that themed with Sutter, two songs really seemed to fit. Miranda Lambert’s The House that Built Me because Sutter is all about the town of Sweet Tea and her memories there and also Tim McGraw’s Humble and Kind, because even with her shiny confidence and success, Sutter is still so sweet and determined to pay it forward for other musicians and kids and her home town and larger community even when the task of giving back is daunting. 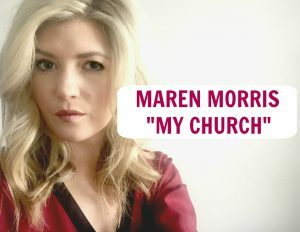 One last song that I had on repeat on my play list was My Church by Maren Morris. The attitude didn’t fit Sutter at all, but man oh man could I relate to doing a lot of thinking and emoting while driving. And as I drove and played this really loud and sang along (my poor teens, but I’m not even that sorry) another, future character started to form—Tyler Knight, Sutter’s fallen pop star actress younger sister, who returns to Sweet Tea broken but determined to grind it out and become her own personal phoenix in a future Smoky Mountain Knight book some time down that long dirt road of writing. I hope you enjoy A Country Love Song and find something to sing along to. After teaching writing classes and workshops to adults and teens for many years in Seattle and Portland, she returned to her first love of reading romances and became an editor for Tule Publishing last year. Sinclair lives in Oregon’s wine country where she and her family own a small vineyard of Pinot Noir and where she dreams of being able to write at a desk like Jane Austen instead of in parking lots waiting for her kids to finish one of their 12,000 extracurricular activities. Catch Us at RWA 2017! Definitely Kenney Cheney song Setting the World on Fire. I am a country music lover and met my husband in a country western bar! Sadly I can’t hold a tune, though I do love to sing. This one looks great! Sounds awesome. The House That Built Me I’ll go with. Happy Mothers Day ! Tim McGraw’s Humble & Kind. Just because we need to see more of that. I have to admit to being a huge Keith Urban fan (could be an Aussie thing) so. for me it’s Boy Gets a Truck. I just heard setting the World on Fire this morning and it’s been in my head all day. And it’s my favorite song on your list. Gotta say “Boy Gets a Truck” although they are all good songs! Thanks for the article and Happy Mother’s day! Love Country music! Looking forward to this new series! I love, love Humble and Kind by Tim McGraw. I have to go with Boy Gets a Truck. I like Country music. My to go to radio station when I’m in the car is Nash. Right now I’m loving Keith Urban’s songs. I liked him in the past had his CDs but got tired of his music but lately loving everyone of his again. Especially the new single and the one he does with Carrie Underwood. So I have to pick his song as my favorite on the playlist. 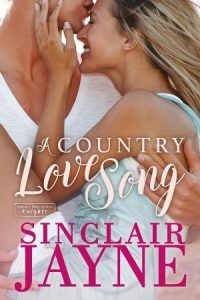 I enjoyed the storyline of A country love song. I like all the country songs on the list and Kenny Chesney’s singing. I like Humble And Kind. And a lot of othere country songs by various singers.